If there’s any group of people that we’d peg as “the most likely to ruin a laptop during normal use,” it would definitely be kids. Fortunately for school districts in the market for new laptops though, Dell has just revealed new Latitude 13 notebooks that it hopes can withstand any amount of punishment that students can toss their way. The main selling point of Dell’s newly announced Latitude 13 “Education Series” laptops lies in their durability. They’re designed to, above all else, survive the fast pace of the classroom. With hinges that open 180 degrees and are coated with rubber trim, the Latitude was put through “military-standard” testing to ensure that children can’t bust these laptops, no matter how hard they might try. “Schools need technology that empowers teachers, engages students and accommodates small equipment budgets,” said Dell Vice President Kirk Schell. “The new Latitude 13 Education Series and recommended peripherals are designed for interactive learning.” Those peripherals include new, more upgradeable mobile computing cart, which can store and charge up to 30 laptops or tablets. Considering they’re made for the classroom, it comes as no surprise that the going rates for Dell’s new Latitude 13 notebooks are well below $1,000, and their specs reflect that. 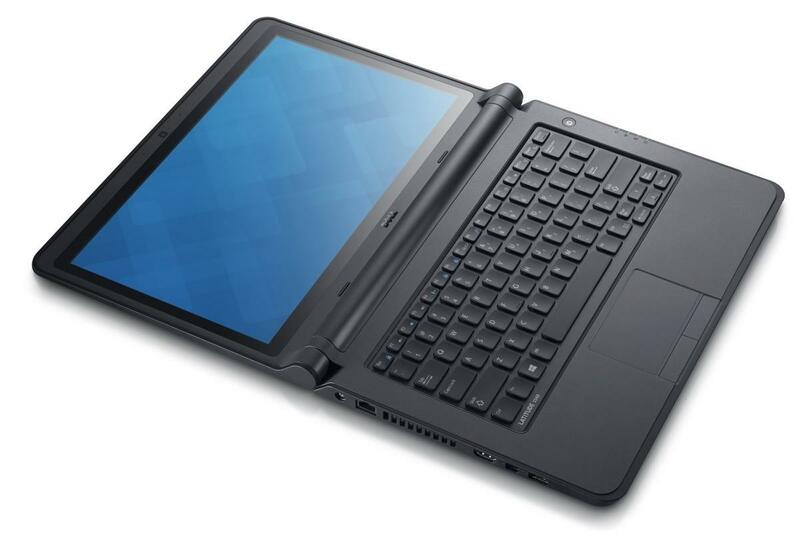 The $539 base model sports a 1.4 GHz dual core Intel Celeron-2957U CPU and runs Windows 7. The $679, version bumps the processor up to a 1.7 GHz dual core Intel Core i3-4005U processor. The high-end model has a 1.6 Ghz dual core i5-4200U processor and goes for $769. Lastly, there’s a touchscreen-based model — made with Gorilla Glass, — running Windows 8 that’s priced at $769, and equipped with the same Intel 1.70GHz dual core processor found in the $679 model. All four versions come with 13.3 inch 1366×768 display, 4GB of RAM, and a 500GB 5400 rpm hard drive. Though it isn’t a powerhouse, the Latitude 13 series look like capable machines that should be more than up to the task when it comes to handling the rigors of a school day, but that computing cart might come in handy for charging purposes. The Latitude 13 Education Series is available for pre-order now, and will go on sale April 17.